We’ve already discussed the best Google chrome download manager, but this time we’ll talking about Firefox Download manager addons. Download managers come in handy when you want to have more control over the files that you’re downloading via your browser. Normally, you can’t do much when you’re downloading something through your browser, the most you can do is cancel the download. However, these nifty little tools give you the ability to pause, resume, restart and even increase the download speeds. Unlike, Chrome, which requires external tools to manage all your downloads, Firefox has some inbuilt addons that can enhance and improve the download experience. Whether you’re downloading a small file or a Blu-ray movie, the addons work great with Firefox as they’re integrated in to the browser. Also, these addons increase the download speeds and give you many extra and useful features. Below, we’ll be talking about 3 of the most used and best Firefox download manager addons currently available. In case, if you have not started using Firefox yet, you can download Firefox from official repo here. This is a great yet simple Firefox addon that brings the pause and resume buttons to your downloads and also increases the download speeds. 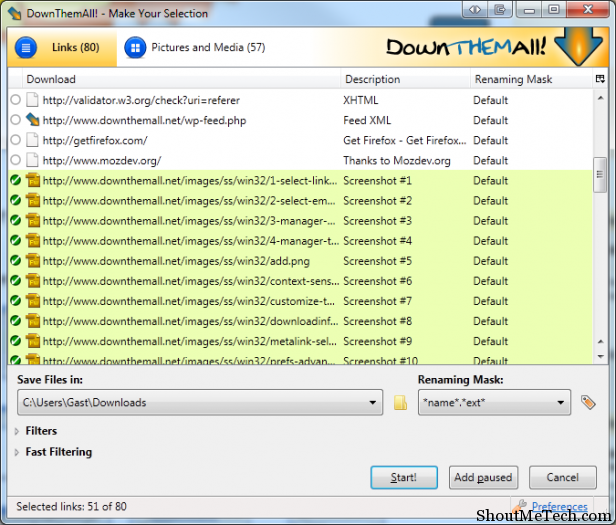 Using DownThemAll!, you can download all the links, pictures, videos or music on any web page or you can select what you want to download. It gives you total control over what you want to download. You can queue files or download them together and since it’s an open source addon, it’s totally free with no catches whatsoever. Install DownThemAll! now. If you’re attached to the stock download manager in Firefox, then you ought to give this download addon a try. Download Manager Tweak is an amazing addon that improves and adds new features to the inbuilt download manager in the browser. Instead of installing a new tool, this just makes your stock downloader look much better and adds more functionality to it. For instance, after you’ve installed this, you get extra buttons for pausing, resuming, restarting, deleting, opening and previewing a download. You can also choose whether you want to open the download manager in a new window, a new tab or the sidebar. Install Download Manager Tweak. Not to be confused with FlashGet, this tool works just like the Download Manager Tweak, but without actually tweaking anything. You can download all the links, pictures and embedded content on a webpage by using the right-click button and selecting FlashGot all. You also have the ability to select only the things that you want to download. 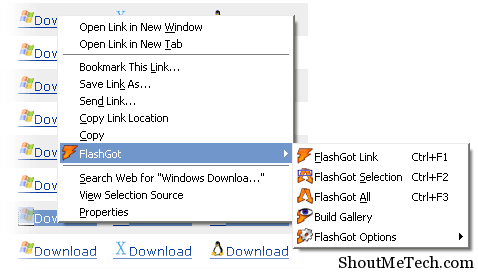 FlashGot doesn’t add anything new to your browser, except for the extra options when you right click on a web page. It’s free and works great. Try FlashGot Firfox addon now. 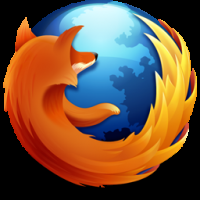 So, these are the best Firefox download manager that you can use and manage your downloads. Give them all a try and tell us which one you think is the best of the three. Also, if you are using any such download extensions for Firefox, which we missed here, do let us know via comment.